Yesterday was a long day and I fell behind......so to make up for that here is a big shout out to the people who make it easy to go to work everyday. While the kids and families keep me motivated and push me to be better, the staff keep me coming back. This crew makes me smile, they understand my sarcasm and they have taught me how to be successful in an intensive care unit. 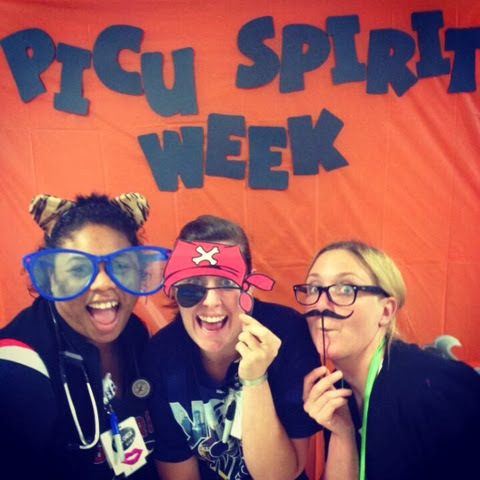 This week is PICU Spirit Week! I am so proud of the spirit this crew has brought already and I can't wait to see what the rest of this week brings. 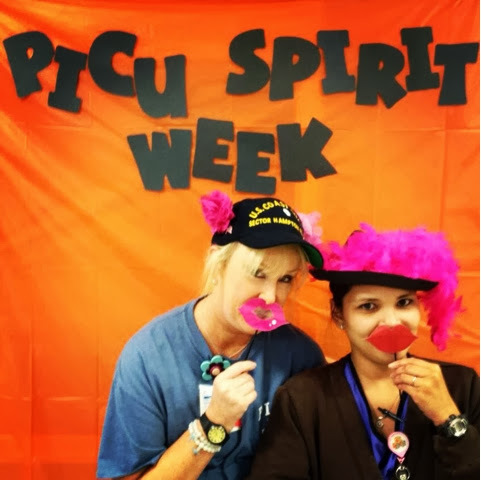 I am forever grateful for the PICU staff, the lessons they teach me everyday and the joy they bring to my life!